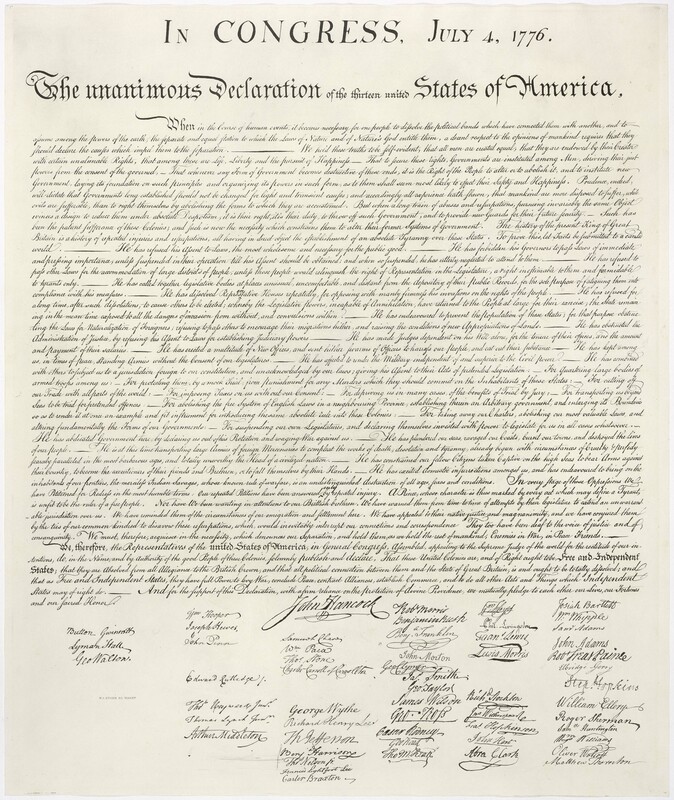 Today marks the 235th birthday of the Declaration of Independence. On July 4, 1776, the delegates the Continental Congress decided it was no longer possible to consider remaining English citizens and the goal of the Revolutionary War was going to be total independence. This is the 4th of July segment. We learn why we fought for independence. We learn what this means and how it became identified as the start of the Revolutionary War. If you have Netflix, you can stream the first and second episodes of the History Channel series America: The Story of Us to get a serious patriotic fix. About 20 minutes into the Ep 1: Rebels through Ep 2: Revolution is a good place to start to get an overview of the history of our fight for independence. For more details about this time in history, you can say with Netflix to stream the History Channel 13 episodes about various aspects of the struggle starting with Boston Bloody Boston (about the Boston Massacre). Episode 3 focuses on the Declaration of Independence. Previous Post DC Commissoners Reappoint Chris Spens, Drives Anger! Next Post HUD Report In, HADCO’s former ED Mismanaged $300,000 in Federal Funds!